And big thanks to Orange Bicycle for the lovely review. 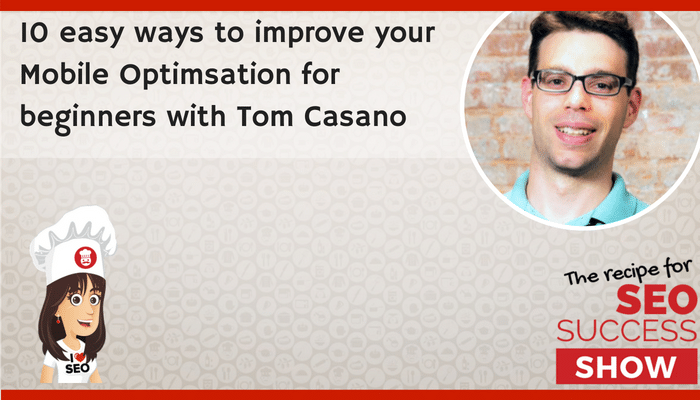 Tom Casano is an SEO consultant and the founder of Sure Oak, an SEO agency based in New York. Tom has core competencies in link-earning with outreach, keyword research, on-page optimization, technical site audits, strategy, content planning and content marketing. Tom grew a startup,LifeCoachSpotter.com, from 0 to 20,000+ organic visitors/month with SEO, having worked extensively in the field by personally testing dozens of strategies and techniques to boost rankings. Tom hosts the Sure Oak podcast with weekly episodes of interviews with other digital marketing experts. Google’s typography guidelines for Android. 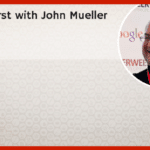 Kate Toon: As you’ll know, if you listen to the podcast with John Mueller, Google has moved to a mobile-first index. So what does this mean for you, my small business owner? Must you burn your site to the ground and start again? Must you pay big bucks to the website developer to do all the things? Must your site be faster than an otter sliding down a greasy tube? Well no, and yes, and a bit more no. 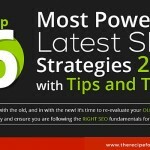 In this episode we’re going to pass on 10 easy ways to improve your site’s mobile optimization. So oil up your ears people, it’s going to be fun. 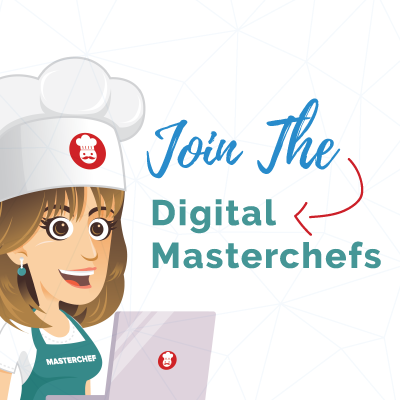 Kate Toon: Hello, my name is Kate Toon and I’m the head chef here at the recipe for SEO success, an online learning hub for all things related to search engine optimization and I love SEO. And with me today is the lovely Tom Casano. Hello Tom. Tom Casano: Hey Kate, how are you? Kate Toon: I’m really well, it’s lovely to talk to you again. 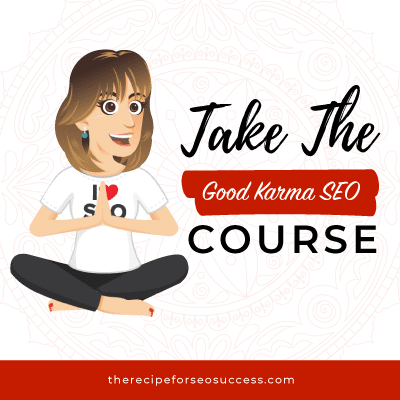 Tom very generously came and talked to my SEO master chef’s group about this very topic. So I thought I’d invite you back on the podcast! Tom Casano: Well, I am so excited to be here and I love chatting with you. I love chatting mobile optimization and I’m excited. Kate Toon: Cool. Let me do that little introduction for you. I’m gonna tell everyone who you are. 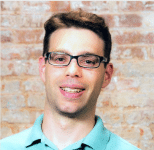 Tom is an SEO consultant and the founder of Sure Oak, an SEO agency based in New York city. His core competencies are in link earning with outreach, keyword research, on page optimization, technical site audits, strategy, content planning and content marketing. 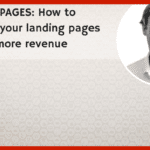 Tom grew a startup, lifecoachspotter.com from zero to 20 000 organic visitors per month with SEO. Having worked extensively in this field by personally testing dozens of strategies and techniques to boost rankings. Kate Toon: Tom hosts the Sure Oak podcast with weekly episodes with interviews with other digital marketing experts. So it’s lovely to have you here today Tom and we will put links into all those various websites in the show notes so that people can check out your podcasts as well. Tom Casano: Yeah. I’m excited. Thanks so much for having me and I’m excited to get stuck in. Kate Toon: Okay, lets do that. Let’s get stuck in. Kate Toon: So when we talk about mobile optimization we’re no longer talking about the old school way of creating a separate site for mobile users. That’s what people kind of used to do. Your browser would kind of interrogate what kind of device was looking at the site and it would actually send them to a completely different site for mobile users. 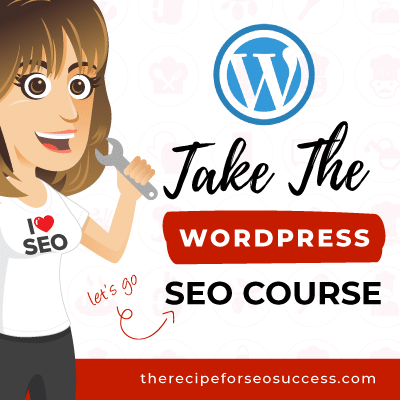 Kate Toon: These days obviously most content management systems, such as WordPress, Shopify, Squarespace, they all have responsive design, responsive themes, which means the website changes depending on the device on which it’s being viewed. So it looks good on a mobile, a tablet and a desktop. And the way that we’re trying to think about design for websites these days is from a mobile-first point of view. So we start with mobile, then we add a little more for tablets and a little bit more for desktop. Kate Toon: So most sites these days have responsive themes. But that does not necessarily mean that they pass the mobile-friendly test. And I’m not just talking about Google’s mobile-friendly test, but I’m talking about if you pick up your phone and try to use the sites, they are damn well impossible to use and to do the thing. So we all need to be considering mobile optimization. Just because you bought a theme that said it was mobile optimised doesn’t mean it is. Kate Toon: So Tom, over to you. Why do we think that mobile optimization is so important? Especially with the advent of the mobile-first index? Tom Casano: Yeah, so everyone knows by now that we are using our phones more and more on the internet, when you’re on the go, when you’re … You just look around at people, whether you’re travelling or out and about and you just see we’re all using our phones more. So more and more of the traffic on the internet is coming not from desktop as much as it used to but more from mobile. According to one stat from Stone Temple Consulting last year in 2017, 63% of web traffic was from mobile and only 37% were from desktop. 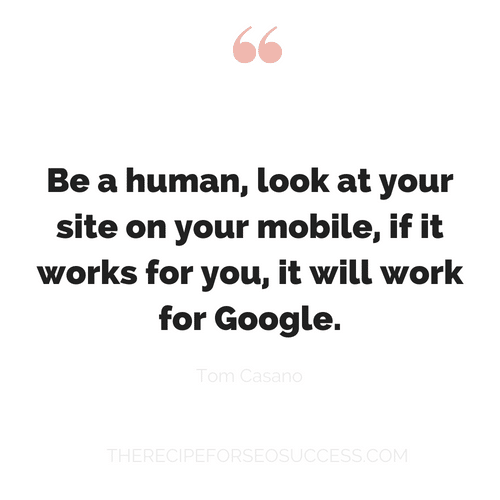 Tom Casano: So, not only do you have more and more people using mobile, so when they’re coming to your website when they’re searching online, but also as you mentioned Kate, the mobile-first index has rolled out a few months ago from Google. And what that means is that Google is now using and starting to use the mobile version of websites for indexing for ranking websites and for crawling to better help their users because Google is always trying to serve their users. So it’s now primarily … everything is basically going over to mobile, and even Google is using mobile version of your site as now the primary version that they’re using to rank websites to crawl onto index. Tom Casano: And so that’s the one single index they’re using going forward and if the mobile version doesn’t have a good user experience, which we’ll talk about, then that can negatively impact your site from showing up when people searching on the internet. Kate Toon: Yeah, so true. And a few more stats cause we do love a stat. I read the other day that 58% of mobile users expect mobile sites to load faster than desktop sites, which I think makes perfect sense. That 38% of mobile shoppers will wait no more than 30 seconds to complete a transaction. So if they can’t get through your site and buy the thing in 30 seconds, they’re out of there. And if a website is not mobile-friendly, 40% of mobile shoppers would visit a competitor’s site as well. Kate Toon: If it’s difficult in any way then I come to my senses and I don’t buy it. I don’t know, do you do that? Do you buy late night weird stuff on the internet? Tom Casano: I love it. Oh, the truth comes out, we’re not holding back. I leave the buying things that we don’t really need for us at home to my wife cause she handles that perfectly well. But you’re right Kate, what you’re pointing to is the idea that we’re not just talking about this for giggles. Actually, it affects real revenue, really affects your business if the conversion … If the experience on a mobile of your website is just not up to par, just doesn’t feel good, like you said in your late night shopping experiences, you’re not gonna buy. Tom Casano: So that really affects the bottom line of people listening, of business owners, of websites. And it’s not just for e-commerce. It might be if I’m gonna fill out a lead form and become potentially your lead or your client. It affects real KPI’s and ultimate business goals. Kate Toon: Yeah, that’s it. And just a little thought here. I actually saw a discussion going on in a Facebook group yesterday and people are like “Well, you know. Maybe you don’t need a mobile … You don’t need to worry about mobile.” Go check your Google analytics and see what percentage of traffic is coming from mobile. Now I do think that’s good advice, I do think we should all be aware of the split. If you go onto Google analytics you can see how many people are coming via desktop, tablet and mobile but it’s really not the point. If it’s low road now, that doesn’t necessarily mean that it’s not going to get higher and higher. Kate Toon: It’s all going mobile, and if you’ve listened to the other episode with Eric Enge from Stone Temple Consulting. Voice search. Everyone wants to use their devices, their Siri, their hey Google, So again, that’s going to have an impact as well. So I don’t think it’s an optional thing anymore. I don’t think it’s been an optional thing for quite some time but if you’re clinging to the raft of “It’s okay, most of my visitors look at my site on my desktop.” I would say you have to let go of that raft and start swimming toward mobile optimization island. What am I even talking about now? Kate Toon: Exactly, well look, let’s get stuck into some tips, we’ve got 10, woohoo! So I’m gonna go first, okay? And our first tip is unsurprisingly, site speed. You need to work on your site speed. There’s obviously lots of different tools you can use to do that, we have the pingdom site speed tool, which I love. And GT metrics is another one. Google has it’s own page insights tool and all you do is you pop your site into there and it will give you some information. Google’s page insights tool will give you a score out of 100. I popped my site in there this morning. Kate Toon: So giant images uploading just to show as a teeny-weeny image. So dimensions, but then also K size. You can smush these images people. Pop them into something like tiny PNG and it will reduce the K size by like 60 – 70% and you can also, if you’re on WordPress install something like WP Smush and that will smush them some more. And I actually went through this [inaudible 00:11:43] on my homepage this morning. I haven’t quite finished but I managed to wipe off 500 Kilobytes from my homepage which is substantial. That could mean like a whole second faster loading. 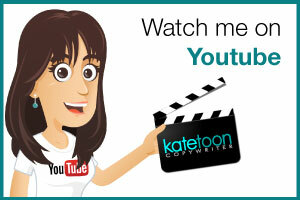 Kate Toon: So in terms of how fast your site should load, five seconds, great! Three seconds would be better, faster than that would be even better! So that’s my first tip, work on sitespeed. Over to you Tom, what’s your tip number two? Tom Casano: Yeah, that’s a great first tip and it’s so important, sitespeed and it gets very technical but I love it. Okay, great and I love this. So tip number two is fairly simple, is, take out your phone right now, pull up your website and see how it looks. 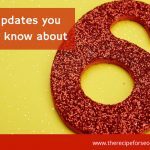 Because Kate and I … You and I have discussed that often times we are spending time developing a website or looking at it on our computer and maybe that’s how we’re writing a blog post for it or whether it’s in WordPress or whatever. We’re spending time on our computer looking at it but we don’t spend enough time really looking at it on our phone. How potentially more than half of the other visitors to our site are looking at it. I think we’re both guilty of this as well so pull up your phone right now, load up your website and start taking a look and a feel how is the user experience. Tom Casano: If you were someone else coming to this site, could you navigate it easily? Can you, as you scroll down, do things look right? Is the formatting right, and we’ll talk more about those particulars as well. Are there any buttons that might be too small to click on? You’re trying to make those purchases, and you are trying to buy things from businesses, and you could be sales for them and they’re losing out on sales because you’re not pushing those buttons because they’re too small or a little ugly or something, navigating through the menu. Tom Casano: You really want to just be a human and look at it from a human standpoint on your phone because that’s how Google is doing it nowadays. Google has become so sophisticated that they can basically see a site in a way that us humans see a site and they can tell how good of a user experience it is or not. So that’s my second tip. Kate Toon: Yeah, I so agree. I think often it’s helpful as well to load up your site on your phone and hand it to someone else and watch them try to use the site and watch them. It’s basic user testing, isn’t it? But hand it to your mom and say “Hey mom, check out my site” and see her struggle. Kate Toon: You know, “what am I supposed to do here? What do I click on? Why do I click on that button? Oh, I tried to click on it but it was so close to the other one that I accidentally clicked that one.” So often, we can’t see our own mistakes, it’s often useful to get someone else too. It’s something I do in my workshops. I get everyone to load their sites onto their phones and then hand their phones to some random stranger and watch them struggle. And it’s through struggle you find out your problems. Okay, great tip. UX, how easy is it to use your site? Kate Toon: Tip number three is to think about font size. So font size, obviously, when we’re looking at things on a tiny little mobile screen, things get even harder to read. And designers sometimes sacrifice functionality to make things look pretty. So really have a look at the size of the fonts in your navigation, on your buttons. The copy that appears at the top of the page, above the fold. The first words that people are gonna read. How legible is it? Do I have the ability to change the font size with my phone or have you embedded your text into images. Obviously not a great idea. Kate Toon: So think about font size, make sure that it’s readable. Imagine someone squinting in the sunshine trying to read your font on their tiny screen. Is it readable. That’s my tip number three. Tom Casano: Yeah, I love that tip number three and I think we’ve all had this experience where it’s so small you can’t read it on your phone so you zoom in and then you can’t read the whole line so you’re trying to manipulate your phone in a way. You know on the iPhone they have a thing up there that it’ll change the whole screen so you could just see the optimised version of it in font because it wasn’t done well in the first place. But yeah. It was a great tip number three. Tom Casano: Going on to tip number four is no pop-ups. Because they are almost impossible sometimes to close on mobile. Bring the user experience down very much, and now this one becomes a little bit of give and take because often times as business owners or marketers, we’re using pop-ups so that we can let’s say get an email address, get a lead. 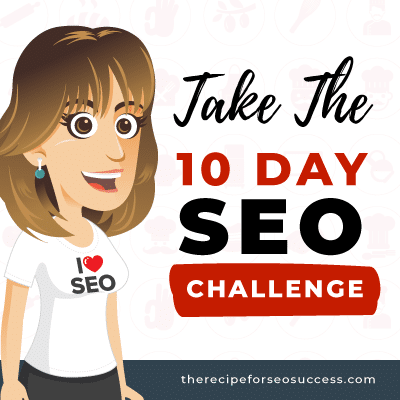 It is a challenge because also it is sort of a negative ranking factor because it just hinders and is an encumbrance to the user experience. Have you ever gone to a website and you get that big pop-up and you try to close it and you get another thing coming at you and you’re just trying to read the article or whatever you’re seeing there. Tom Casano: So pop-ups on mobile really don’t work so well. Would you agree with that Kate? Kate Toon: Yeah I would, I mean, I think it’s a good idea to have your email capture form somewhere embedded on the page, like maybe the footer. You obviously can have the pop-up load after a certain amount of time but sometimes I just think it’s better just not have it at all on the mobile. It’s not a great user experience. It’s hard to fill in as well on mobile phones. 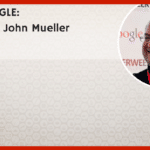 Some sites, we won’t mention but very famous internet marketer whose initials might be NP has a thousand pop-ups. You go to his site, pop-up and a pop-up and a pop-up and a pop-up. And it obviously is working for him, and he’s doing fabulously well but from a user’s perspective, it makes me not want to go to the site. So, something to consider for sure. Kate Toon: Okay, tip number five. Homepage sliders. Now I’m not a fan of sliders on a homepage. What do I mean by that? I mean those graphics at the top that rotate through, you can navigate through them, you maybe have five or six images spanning different areas of your site for different products. Kate Toon: And also really consider that large homepage image. It’s very in vogue now to have a giant image on your homepage. A beautiful picture of someone jumping through a puddle with a red umbrella or something like that. And there’s no text on it, there’s no call to action on it. It’s purely just an image. It doesn’t say who you are, what you do or anything like that. And on a mobile, it could take up the entire screen. So I have to actually scroll to get any kind of text content. So again, really consider your images and whether it’s worth having them or whether you can crop them down, make them a little bit more letterbox, or you could overload text and buttons over the top of the image so that at least it’s serving a purpose and not just there to be pretty. Tom Casano: Yeah, that’s a great tip number five Kate. And moving on to tip number six is, think about how the elements that you see on the desktop version are more laid out horizontally, just because the screen shape and the … It has more width, whereas on mobile usually you have more height in the screen. So when those elements on desktop are laid out a little more horizontally, so for instance, there might be a sidebar. There might be an image with text being wrapped around it. Those elements, if they’re staying the same from the desktop going over to the mobile version, they usually shift vertically. So if there’s let’s say two or three elements or boxes in a row on desktop … When you go to mobile, they’ll probably all shift going one, two, three, going down vertically. Tom Casano: So it’s just something you want to be aware of because often times something might look great on desktop and then on mobile, the way things shift around, you’re like “That didn’t really come out right.” Or, if you’re not allowing those elements to shift vertically then you’re gonna have a very … it’ll just be a not very mobile-friendly experience. You know what I mean Kate? Kate Toon: I do. I think there’s a couple of things there that I see there that I’ve seen which is unfortunate text wraps. So where the text wraps in an odd way so that the opening screen cuts off the text in a really odd way and you end up saying something kind of weird. Do you know what I mean? You know like if you cut the word off half way through and it changes the context and you’re like “You didn’t mean to say that.” The other one, you have a list of services of products. On your desktop you may have laid them out in order of priority but the way that they wrap on a mobile device, the order might change. It might not be quite what you want it to be. So super good tip. Kate Toon: I think we’re up to tip number seven. Yes we are. So tip number seven is an obvious one, but one that’s often overlooked, is to make sure that wherever your number, your telephone number appears on your site, that it’s click to call. Now most websites, most contact management systems and responsive themes, this will be baked into the theme. If it’s not there’s a very simple little bit of HTML that you can add to your number. I wouldn’t suggest getting a plugin to do this. There are plugins that do it but it’s just another plugin chugging through your site. Often it’s good to sacrifice a plugin and just do a little bit of HTML code. Very easy to find, just Google it, you’ll find it anywhere. So that if I want to call you straight from the website homepage, I can just click on that and get straight through to you. So that’s my tip number seven. Tom Casano: Yeah, I like that one and it’s so true. 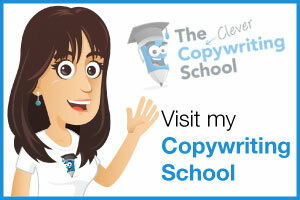 How many times are you on a site or somewhere and you just want to tap it but imagine trying to copy and paste it. It’s a mess. Kate Toon: Number eight, it’s you dude. Tom Casano: Yeah, so the mobile-friendly test. If you just go and search for mobile-friendly test, it’s a free Google tool. You had mentioned it yourself Kate, and it’s great because it right there just basically shows you. 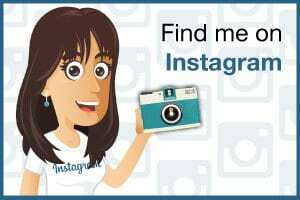 Like the page speed insights test which is also a free Google tool that you had mentioned earlier Kate. So it’s free, it’s easy to use. It’s created by Google and done by Google, so you know you’re checking using the tool that’s being used the one that’s doing the ranking, the one that’s in a sense the gate-keeper of the internet. Kate Toon: Yeah, exactly, it’s quite harsh test as well, if you put your site in, it’s pretty brutal isn’t it? Have you noticed? You can use other tools and you get slightly better results but Google’s mobile test is brutal. So be prepared and obviously with all these tests. And I know people love tools and all the Facebook groups tools about. But the whole point is you’ve got to actually do the thing once you find out what the problem is so you know, take the time to download all your images, resize them and upload them to look at your caching, to look at your server to solve the problem. You know it’s so important. Kate Toon: Tip number nine is to think about colour and contrast. So again, another classic design fault that I see in a lot of sites is no contrast in terms of text and backgrounds. So you have dark-gray font on a light-gray background. Which is hard enough to read on a desktop but on my phone with the sun shining on it and the screen, not the biggest, it’s impossible to read. So you really need to make sure that your text is contrasting. It’s sacrificing again a bit of form for functionality. I’d rather see black text on white background that’s really easy to read. Yes it might not be quite as aesthetically pleasing and muted as you want it to be but it’s all very well and good to have a pretty site but if people can’t use it then they’re not gonna buy your products or services. So think about contrast of colours. Tom Casano: Yeah, absolutely, and it reminds me back to the font size as well right. Imagine having terrible font size and a terrible contrast versus when you come to a site and it’s just beautiful. I think medium, that website often has that, where it’s a black text on a white background. It’s a nice size and it’s very easy, very clear to read, I love that. Kate Toon: Yeah, for sure. I think our final tip is a good one. Tom Casano: The final tip, okay tip number 10, is kind of harking back on something but to really drive it home is just the user experience test. So to know that your site is really mobile-optimized, just ask yourself if it looks and feels good on mobile. Is it a good user experience? What is user experience? It basically, like Kate mentioned before, if you hand it to your mother or you hand it to somebody, they can navigate the site, they find what they are looking for. Tom Casano: They can use it in a way to accomplish the task that they want. Whether it’s clicking a button to buy, whether it’s clicking a phone number that you tap it and it’ll call. Whether it is getting to the menu or getting to other pages on the site, or trying to find out what they are looking for. That would be … To me that’s sort of the ultimate mobile optimization test or way to know. Is my site mobile-optimized? Well if it’s good to use on your phone and you know that others would agree that they can do what they want with it and see what they want. Then that would be … to me it’s sort of the ultimate over all thing for mobile optimization. Kate Toon: Yeah. I agree, I mean my biggest pet hate with poorly optimised sites is tiny buttons. I’ve got a normal human-sized thumb. I’m looking at it now, it’s pretty normal. But I always seem to find that I actually click on the wrong thing or the navigation elements are so close together, or they drop down and then move, it’s just really hard. So making sure that there’s enough space around images. There’s guidelines provided on it. It’s something like … I think you have to have at least 40 pixels of white space around each button and element so that you don’t touch the thing next to it. It’s little things like that. And tiny tweaks can make such a huge difference. Kate Toon: Another little thing, final, tip number 11, we’re not even supposed to have it. But when you’re planning … we’ve talked about this in many different ways already but think about your call to action buttons. One thing on a mobile is people are super time-poor. So make sure your call to action buttons have nice big font, clear contrast and lots of space around them so they’re easy to click because they’re the important buttons on your site. So there, got a free tip there, bonus tip. Kate Toon: Well Tom, I think that was fantastic, hopefully very helpful to everybody listening. Thank you so much for sharing your time. Tom Casano: Yeah, thank you so much for having me Kate. I’ve had a blast and hopefully we’ve cooked up some good things in your kitchen. Kate Toon: Yes, oh, I like that. I love that, excellent. So if you’ve enjoyed this week’s show then head to www.therecipeforseosuccess.com and find the episode. Where you can ask more questions for mobile optimization. 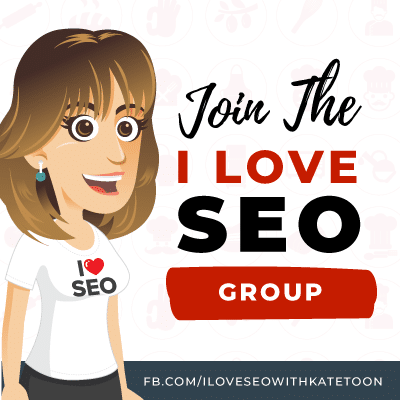 You can also head over to my I love SEO group on Facebook and I’ll be happy to answer questions there as well. Kate Toon: And as you know, at the end of the show I love to give a shout out to one of my lovely listeners. And this is a testimonial from Orange Bicycle. Thank you Orange Bicycle, it says “Knowledgeable, articulate, thoughtful, relevant, witty and thorough content. I learned so much from each episode. 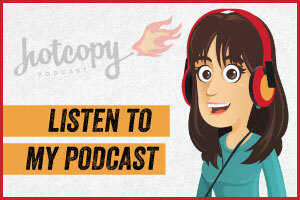 SEO is like another language entirely and your podcast simplifies the complexities in SEO. Thank you for sharing your knowledge Kate.” Thank you and thanks for listening. 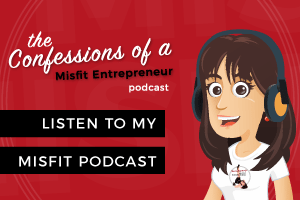 If you like the show, please don’t forget to leave a five star rating and review on iTunes or Stitcher or wherever you heard the show and help other people learn about the [inaudible 00:26:54] world of Search Engine Optimization. And I’ll give you a shout out on the show.